No one likes paying property taxes, but it's even worse to pay too much property tax. In Cook County, Illinois, the assessor's office determines the assessed value of your property. This value is then used to determine how much you owe to the taxing bodies to which you are responsible. Though the assessor's office does not control the tax rates imposed by the county, city, township or schools, the assessment of your property is key in determining the amount of taxes owed. An accurate assessment is important, and property owners should be aware of how to file a property assessment appeal. Determine the type of property you own. Cook County classifies property in five categories for property tax assessment: vacant land, residential, apartment buildings with more than six units, not-for-profit and industrial/commercial. To appeal to the property tax assessment, you must first determine which category applies to your property. Each category of land has a different appeal form. Residential is the broadest category. All single-family homes and multifamily homes with six or fewer units are in the residential category. Determine which type of appeal applies to your property assessment. People commonly apppeal a property assessment for one of three reasons. The first is a "uniformity appeal," in which your property is not valued similarly to comparable properties in your area. The second is an "overvaluation appeal," in which you feel that your property assessment reflects an inflated valuation of your property. The third is a "property description error appeal." In this type of appeal, a part of the description used to calculate the property's assessed value is incorrect. For example, the square footage is different from what is recorded in the assessor's office. This difference, if significant, could affect property values. Complete and submit the required forms. The exact form(s) required will depend on the type of property. The Cook County Assessor's Office offers several options for filing an appeal. Its website (see Resources) has the required forms for download. Each assessor's office provides experienced personnel to assist you in filing your appeal and obtaining the proper forms. Appeal forms are also available by mail. To request the forms by mail, call 312-443-7550 or write to the Cook County Assessor at 118 N. Clark St., Chicago, IL 60602. 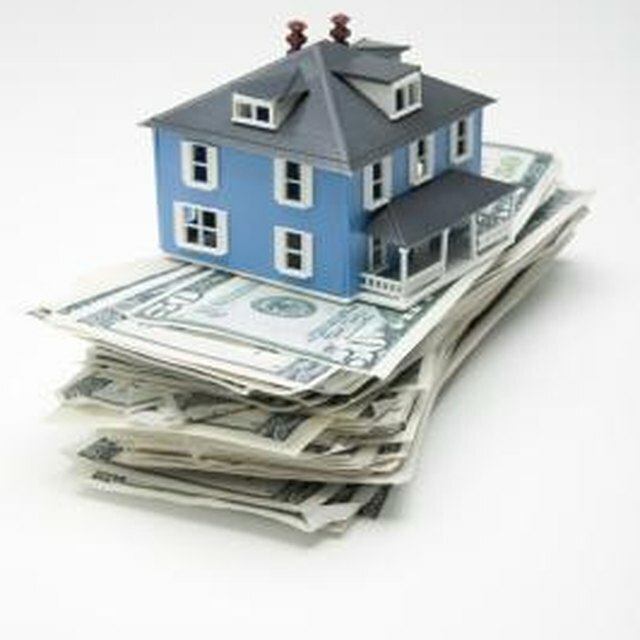 Property owners will receive a revaluation notice of their property every three years. Any owner wishing to file an appeal must do so within 30 calendar days of his assessed valuation notice. The notice indicates the last acceptable date to file an appeal. Any required documentation must be filed by the documentation deadline, which is about two weeks after the appeal deadline. Property owners may appeal their property tax assessment in between the years in which they receive an assessment. This is especially important if property or home prices for comparable properties have changed dramatically since the last assessment. Decide to accept the outcome of your appeal or take it to the Cook County Board of Review. Once your appeal has been filed and any required documentation have been received, the assessor's office will review your information and mail you the result of your appeal. If you have questions about the results of the appeal, you can call 312-603-7530 and speak to the taxpayer advocate, who can explain the results and answer questions. If you are unsatisfied with the outcome of your appeal, you can take your appeal to the next level through the Cook County Board of Review. The Board of Review can be contacted by calling 312-603-5542. Eli McCormack has been writing professionally since 2005. McCormack began her writing career working for her local newspaper, "The Examiner," by covering local government stories. McCormack holds a Bachelor of Science in political science and Latin American studies from DePaul University and a Master of Arts in public administration from Northern Illinois University.